I am heartened by the number of lists being shared about how to resist and weather the incoming fascist regime. Dan Rather, Michael Moore, and Bill Moyers offer especially compelling advice. StrongerTogether just posted a succinct list: stay positive, stay informed, stay connected, stay focused, stay disciplined, and stay aligned. I would add one more. Stay away from poison apples. That the poison of anger and hatred has been a mainstay diet for many Americans is not new. We just haven’t seen it so clearly. What is new is the degree of open public distribution and consumption. And many would have us believe that a vitriolic consciousness is now as American as…well, apple pie. Sadly, for many it is. Staying positive becomes difficult. It also becomes essential. Engaging in and with the vitriol is indeed eating poison and hoping others will perish. We have a long journey ahead of us and must keep ourselves nourished. Physically, emotionally, and spiritually. 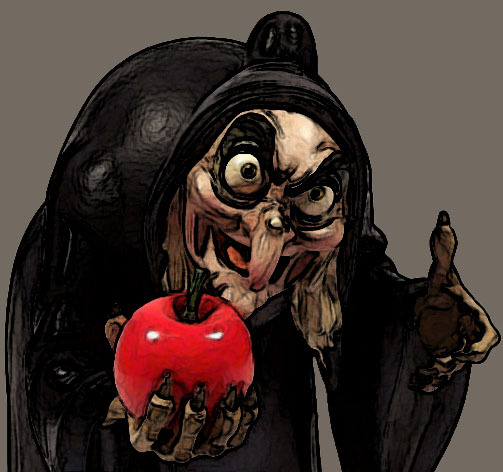 What we eat matters and poison apples cannot be part of our diet.